NEW! 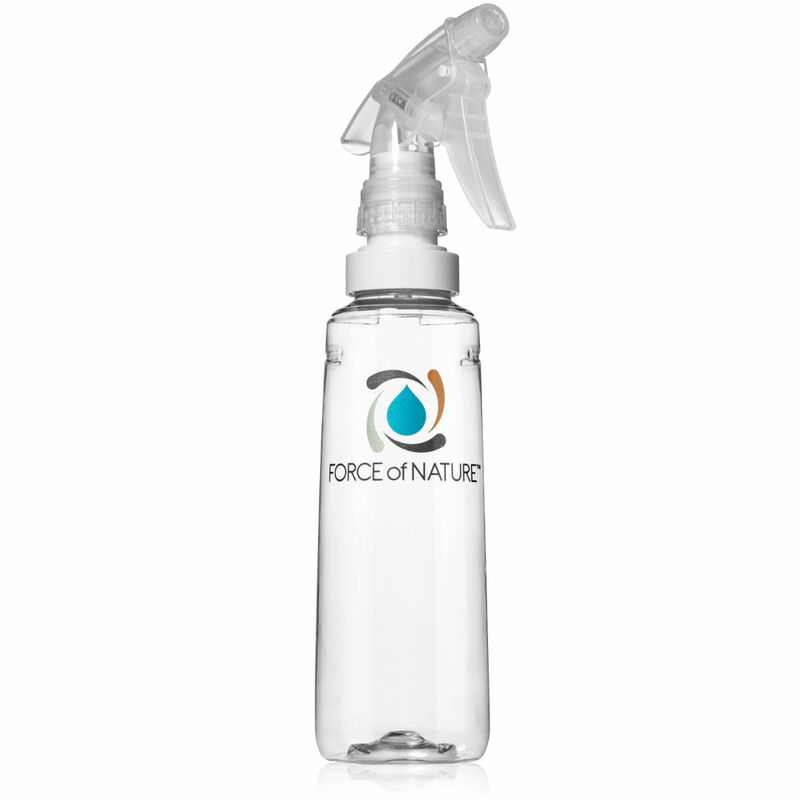 With so many different ways to use Force of Nature, an extra 12 ounce Spray Bottle might come in handy. Great for anywhere you need to clean & deodorize safely – like the kitchen, bathroom, nursery, highchair, mud room, pet areas, stinky sports equipment, or car. We’ve redesigned our bottles to be super durable with fully adjustable spray nozzles, so you get the best results on every cleaning job. The bottle overall is nice – it’s sturdy, offers good mist and squirt spray options, manageable size. However, the area under the trigger has started leaking so your hand gets soaked when using the bottle. Plus it wastes the solution. We have 4 in our part-time preschool program and two are already doing this. We use the bottles daily but are not hard on them. It’s just a bit disappointing. Hi – We have a new spray bottle now that’s completely different than what you have, so we’ve emailed you to replace yours. Thank you so much for using Force of Nature and we’re so sorry for the trouble – we’ll get your new bottles out to you pronto!